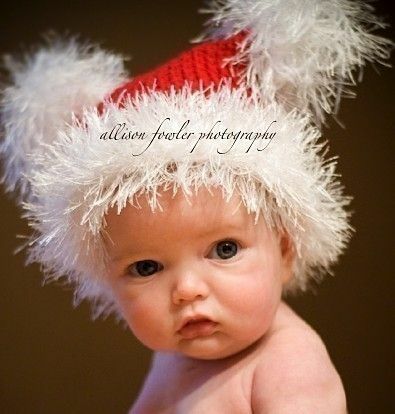 This is a darling Christmas hat. pom poms. Great for those special holiday photographs.